Water, which makes you wealthy. Water, which brings you pleasure. Pure, light, gentle and velvet natural water. Magnificent balance of Minerals. Gastronomic water, Your essential companion while diner in Restaurant and at Home. Оказывается, успешные люди пьют много воды! Почему? Весь мировой прогресс, все самые важные события истории мира вершили мужчины. Чем крепче мужчина здоровьем, чем сильнее духом, тем благороднее его поступки и величественнее он сам. The RusseQuelle concept emphasizes its pristine cleanliness. The mineral water spring has been known for 500 years and is located at a unique place of Russia – Gorokhovets, which is part of the Golden Ring, having a great historic value for the country. Being bottled at the spring itself, RusseQuelle mineral water is delivered to Russia’s leading FMCG retailers, HoReCa spots and our honorable private Customers in its primeval condition. Silicon makes your skin, tendons, and cartilages flexible. It neutralizes chlorine, radionuclides, and heavy metals. Such pH value helps you to maintain an ideal acid-alkaline balance, facilitating in harmonizing the body’s internal functions. Humic acid is a strong antioxidant that excretes heavy metals, improves liver functions, suppresses bacteria, and improves the gut microflora. It excludes diarrhea and other digestive disorders, while excreting allergens from the body. The main function of Natrium is to maintain the water-salt balance in the human body cells. Natrium is essential for functioning of nerves, muscles, and kidneys. Magnesium removes distresses and the craving for sweets. That’s why it is sometimes called an antistress agent. Magnesium makes muscles relax, improves the sleep, and releases one’s nerve strain. Selenium decreases risks of cancerous diseases, strengthens the nervous system and immune system, and prevents ageing. 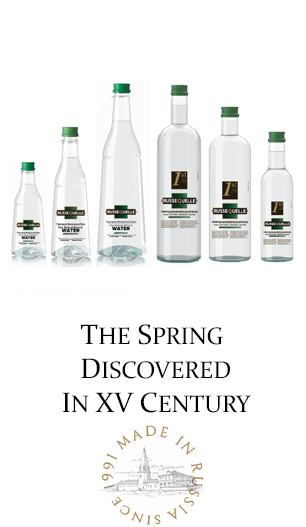 The analysis was performed by the Mineral Water Laboratory of the All-Russia Research Institution of the Bear, Non-Alcoholic Beverages and Wine Industry of the Russian Agricultural Academy.